Images, Data and Application Security. In a world of fast electronic communications, cloud storage and smaller portable computer it is difficult to imagine using ink signature on paper, print information on paper as well as archive and maintain securely those signed documents for fast search and retrieval . Yes, we are moving into the web world with electronic documents and cloud storage but we still need to sign, preserve and verify with the same security and certainty we had in the paper world. 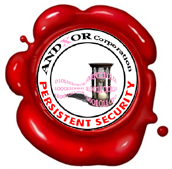 Andxor Corporation brings the ink signature into the electronic world without losing the evidence of Authenticity, Integrity, and Presence in Time, and Non-Repudiation. We also guarantee digital signatures to be securely bond with documents and preserved together with their metadata, biometrical signature, log and process information to assure legal value. Wherever crucial information in the form of a file, record, buffer or image exists, our solutions will help you to give the persistent security it needs. Our solutions of Digital Signature and Biometric Signature are based on our legal compliant remote secure servers, and our value proposition is complete, tested and proven during the last 18 years. We deliver the highest level of Server based Persistent Security providing and maintaining our customer with a secure and simple environment with no client software needed. We will lead the effort to discover new ways for existing and future technologies to be deployed in the market and we strive to reach very high security while maintaining a friendly and easy to use environment. ANDXOR Corporation is based in New York. Sign2Web, Sign2Web.com, Web2Sign and View2Sign.com are trademarks of ANDXOR Corporation.